Tirupati - 517501. AP- india. Please Fill the Contact Form for further Enquiry, ' * ' field is mandatory. 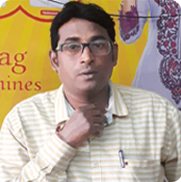 MALLI ENTERPRISES (Singer-Merritt Sewing Machines Dealer),7/5/199A,R.S.Mada Street,Tirupati - 517501.